Samsung mobile phones, in particular the Samsung Galaxy range are one of the most popular mobile phones in the UK today. Samsung mobile phones have a sturdy build but accidents like spilling liquid over the phone or dropping it can cause the phone to stop working. Samsung mobile phones that won’t switch on are a big problem for many mobile phone repair companies who first have to repair the phone before they attempt to recover the data that is on it. Whilst Data Clinic are fully able to repair Samsung mobile phones, we are also able to use other means to extract the data from them. 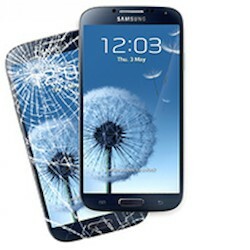 Recovering the data from broken Samsung Galaxy phones is one of our specialities and something Data Clinic have been involved in since the Galaxy range was launched. Data is also easily lost on an Samsung mobile phone, for example files and photos can be accidentally deleted and contacts can be erased if we are not being careful what buttons we press, or if we are learning how to use a new App. Additionally data can be deleted if we run a factory reset or upgrade the phones software. We use advanced techniques of data extraction such a JTAG (above) and Chip-Off to recover the data from Samsung mobile phones. We use a variety of techniques to recover the data from your Samsung mobile phone – and the problem your phone has dictates what technique we will use to recover it’s data. Sometimes there may not be any physical damage to the phone and the fault may be due to a corruption with phone’s memory or file storage, other times the phone may be physically broken and require us to remove the memory and file storage chips and read the data from them before reconstructing it back to how it was before the phone broke. In almost all instances, Data Clinic are able to successfully repair and recover the data from Samsung mobiles (including all types of the Samsung Galaxy range) whatever the problem. Contact us on 0871 977 2525 or use the form to your right to get in touch and we’ll contact you. Additionally, our forensic services are available to recover data from Samsung phones that has often been deliberately deleted – such as text messages to certain numbers, internet histories or GPS location data etc. Capable of storing huge volumes of data, a Samsung Galaxy phone is often a goldmine of information frequently containing photos, videos, emails, internet history, chat logs and location data specific to the phone’s owner. Phone data is often so complete that it is possible for us to construct a timeline of detailed activity and location data, complete with time and date logs that show the users whereabouts and activities at any certain time. Each requirement is different and we recommend you contact us on 0871 977 2525 or use the contact form on the right for further details. Additionally you may like to also read our main forensics page too.